If you would like your students to be able to see their current course grade, please follow the three-part instructions outlined below. 4. 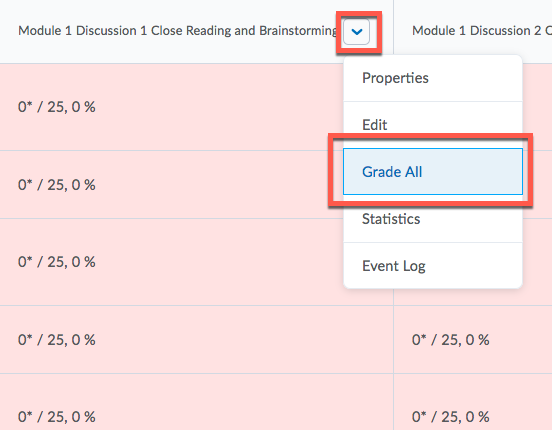 Scroll down to Grade Calculations>Choose "Drop ungraded items"
After the end of each Module, or after the due date of an assignment, you will need to post zeroes for students who did not turn in their work. 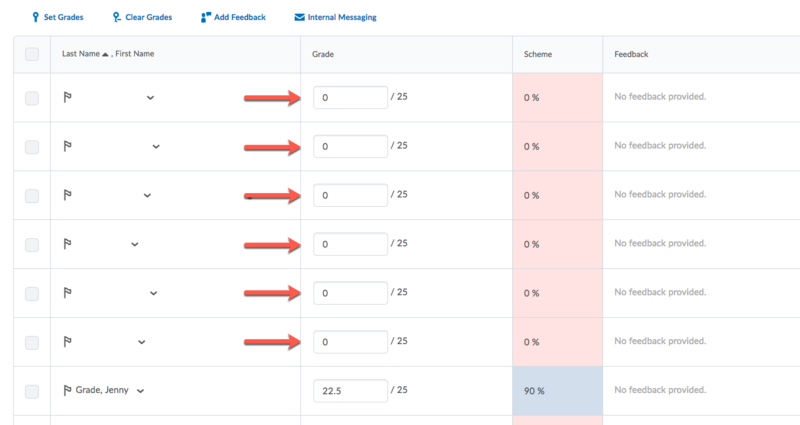 To make the Final Calculated Grade visible to students, see this KB article for instructions. Posted by: Melody Fan - Wed, Sep 5, 2018 at 2:27 PM. This article has been viewed 335 times.